Hilmar Cheese Company is a privately owned company with over 1,000 employees, specializing in many fine cheeses including Monterey jack, colby, mozzarella, Hispanic and cheddar cheese. As of 2011, Hilmar Cheese processes two million gallons of milk and two million pounds of cheese each day. The company's Hilmar facility produces more cheese per year from a single site than any other cheese manufacturer in the world. We shipped over a Hyper-V server and several virtual machines to create a SharePoint platform in which we were able to effectively import their databases, prune them, trim audit logs, find large unused media files, and purge bits of code from third-party experiments. 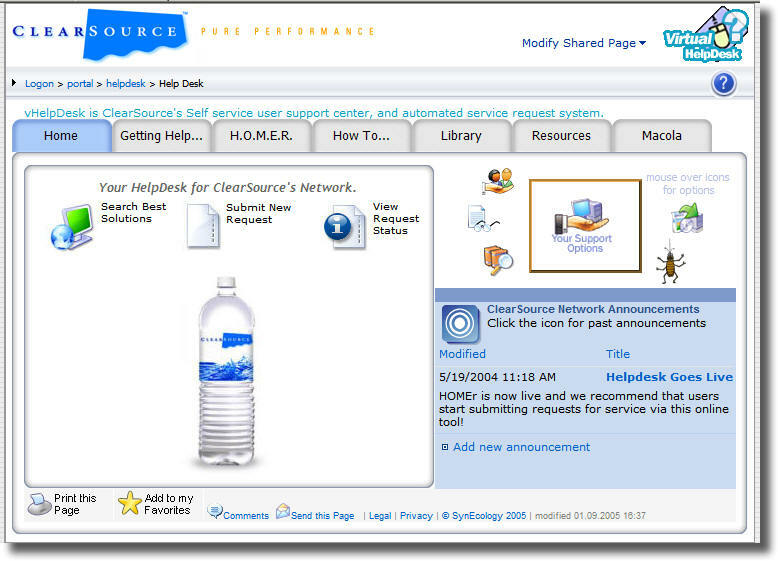 We then set up a production 2010 SharePoint farm and a development farm, and did a series of test migrations until we were satisfied that the database was clean enough to proceed with a production cut over. We then set up a scripted synchronization of data between the 2003 source and the 2010 farm, and turned our attention to branding. Branding went through many revisions. 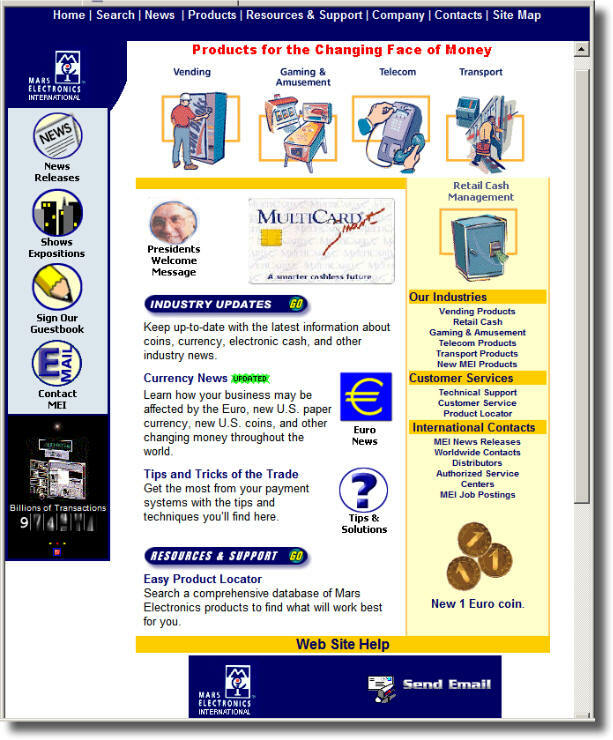 The result of all this migration and revising was a much more robust, stable, and better performing platform, and additionally the user interface was enhanced with tabs and several new navigational widgets that made it easier for staff to locate documents and information required to do their job. 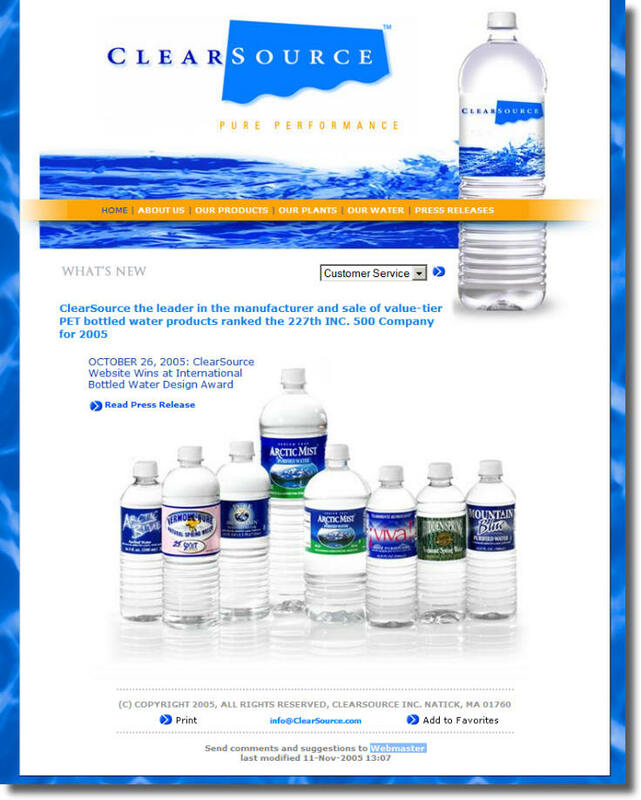 ClearSource is a leader in the manufacture and sale of value-tier, single-serve bottled water products. With plants in Florida, Pennsylvania, Illinois, Texas, Vermont, and Arkansas, ClearSource provides an exceptional level of service and quality to a growing portfolio of multi-regional customers. Designed & deployed IT infrastructure, servers and messaging systems. 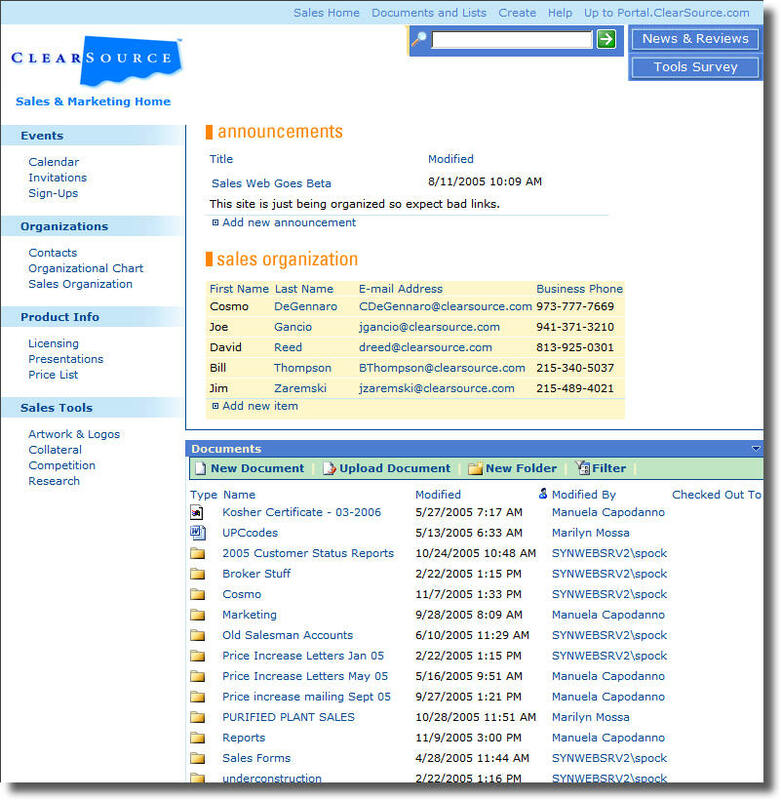 Development of public web and design & development of custom SharePoint Portal(s). Design & Development of web based training using Microsoft Producer. "Working with SimplePortals has been a delight. Their work ethic, dedication, and professionalism have enabled us to get far more work done than we would have otherwise. We have plants across the country and hundreds of staff, connected via VPNs and portals. SimplePortals automated our systems to such an extent that we don't require any IT staff. I feel that they are honestly invested in the success of our company, and that makes all the difference in the world." 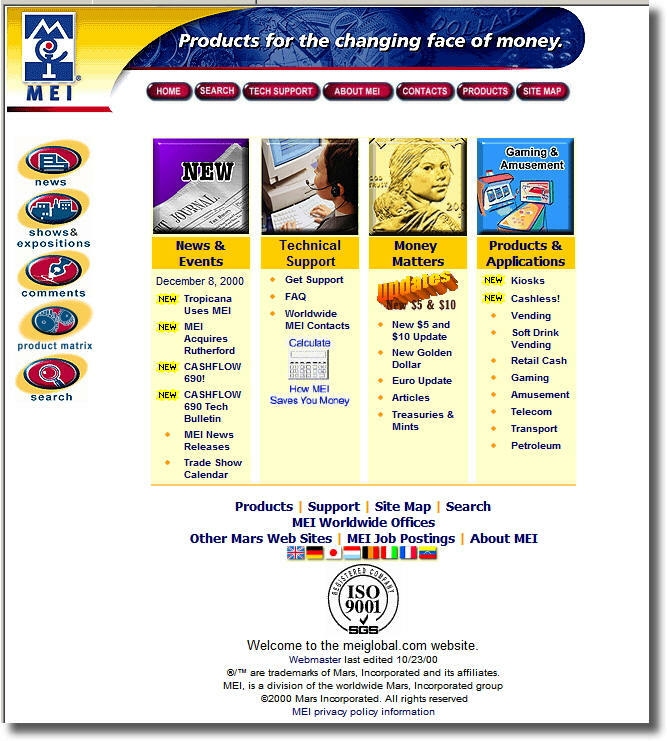 Since 1969, MEI has developed the industry's most advanced, secure, and convenient bill and coin acceptor technology. MARS is well known for Snickers, M&Ms, uncle Ben's rice brands. 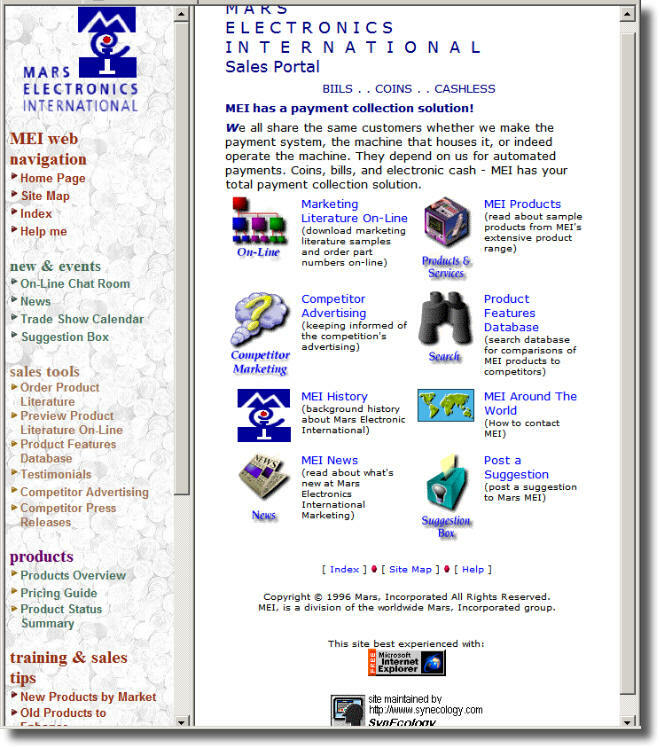 Development of public web site and design & development of internal sales portal. "The entire project was carried out remotely with regular contact via email. Only a couple of on-site meetings were required. A minimal investment of our resources on the project was required. During the entire project, SimplePortals has shown a high level of professionalism, both with respect to quality and deadlines." Crystal Rock has one of the highest compliance ratings in the industry. Our bottling process is heavily monitored by us, the State of Connecticut Department of Consumer Protection, the U.S. Food and Drug Administration and the International Bottled Water Association (IBWA), among others. Great taste, bottle after bottle, is a process we take great pride in. 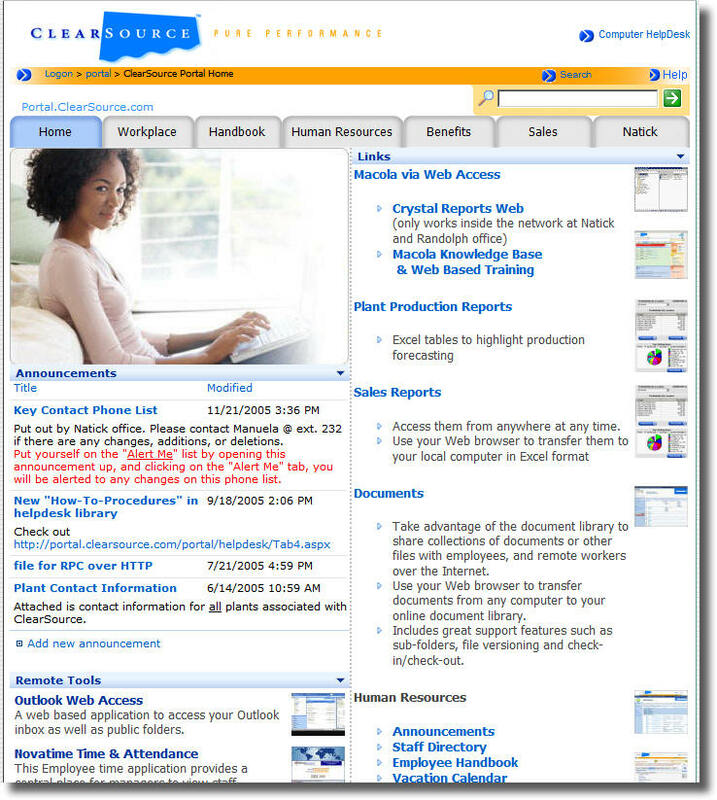 vHelpDesk based on our "certified for windows" SharePoint based help desk solution accelerator. Porter's are the largest disc style music boxes in manufacture today, each component handcrafted and assembled in Randolph, Vermont. Designed & deployed network infrastructure. Web design & development using SharePoint for web based public website updates, and commerce site. Pinnacle Foods Inc. owns many of the brands we use every day. These include Duncan Hines, Mrs. Butterworth's and Birds Eye. We engaged in a managed SharePoint services arrangement, have been providing technical leadership with their SharePoint. We have redesigned Pinnacle's information architecture, added several of our software products such as Mega Menus, Knowledge Center for user training, and built a development farm. We have also designed and built an extranet which is using advanced security authentication of FBA. SharePoint is gaining traction as a valuable tool at pinnacle and is certainly working to solve several communication and collaboration challenges. As a result of our assistance it's far more friendly to administer, and easier for users to navigate.